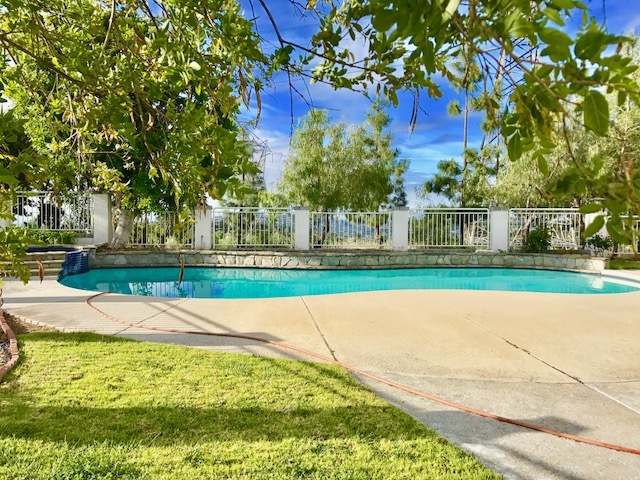 DESCRIPTION: GREAT OPPORTUNITY TO BUY A LARGE 2 STORY, 4 BEDROOM, PLUS A DEN/OFFICE (POSSIBLE 5TH BEDROOM, NO CLOSET), 5½ BATH VIEW HOME WITH A POOL AND SPA IN THE HIGHLY DESIRABLE AREA OF LA CANADA FLINTRIDGE. 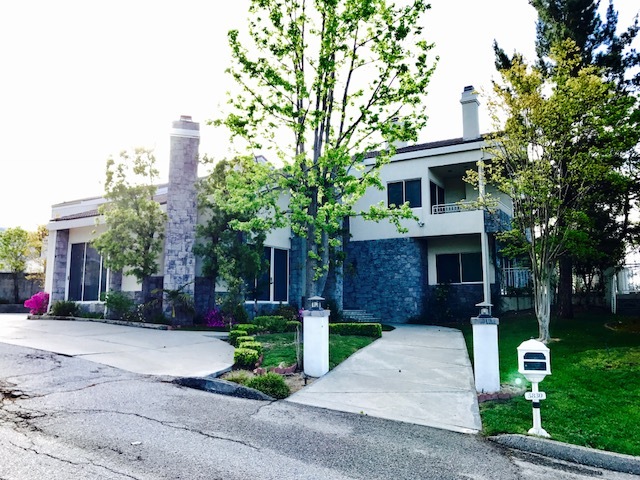 DOWNSTAIRS, THE HOME FEATURES 1½ BATHS, SUNKEN LIVING ROOM WITH FIREPLACE, WET BAR, DINING AREA, FAMILY ROOM WITH FIREPLACE, KITCHEN WITH CENTER ISLAND, WALL OVEN, COOKTOP, TRASH COMPACTOR. LAUNDRY ROOM WITH UTILITY SINK AND SIDE BY SIDE WASHER & DRYER HOOKUP AND OFFICE (POSSIBLE 5TH BEDROOM). UPSTAIRS FEATURES A CENTRAL SITTING AREA WITH FIREPLACE, 3 BEDROOMS AND 3 BATHS ON ONE WING OF THE HOME. OPPOSITE WING OF THE HOME FEATURES A MASTER BEDROOM WITH SITTING AREA, FIREPLACE, WALK IN CLOSET AND DOUBLE VANITY. 3 CAR ATTACHED GARAGE. MULTI ZONE AIR CONDITIONING AND HEATING. ALARM SYSTEM. GREAT FAMILY HOME. LOT SIZE: 20,399± SQ. FT.